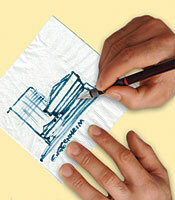 Cocktail napkins are infamous for architects' casual tool of sketching instant output of tea table brainstorming. Sometimes napkins are also used to even explain design to a client while meeting in a cafe. Stories abound about famous works of architecture coming out of these spontaneous sketches. Architectural Record brings out an interesting contest of sketch on cocktail napkin, may be a short relief from the meticulously digital age of CAD. The submission is obviously NOT online. Participants must send their sketches drawn on 5x5 inch cocktail napkins (up to 6 sketches per participant) to the Architecture Record office. All materials must be postmarked no later than Monday, June 21, 2010. For details and registration download this PDF file. And start sketching wherever, whenever you get something in your mind, yeh keep some napkins always in your pocket! 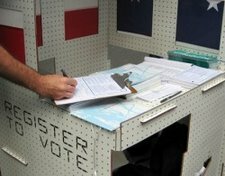 The Pratt Manhattan Gallery of New York called for design of a mobile voter registration and info center to add something spectacular to the fall 2010 election process in NYC. The design has to be innovative, light weight and portable, with the options of folding and unfolding by one person. The design should be able to fit in an area of 3x3x3 feet when it is folded/collapsed. The competition is open to all (as they say!) with no entry fees. The winning design will be built. The three winners will be awarded cash prizes of $500, $400, and $300 along with $1000 stipends for the fabrication and shipment of their winning designs. The submission is online via email. To download the registration form and for more details visit the Competition Site. United Nations declared 2010 as the Year of Biodiversity. 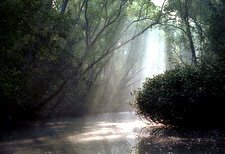 On this occasion UNDP, Bangladesh Government and International Union for Conservation of Nature (IUCN) jointly organize a photography competition titled “Biodiversity in Focus”. The competition is open to students, armature and professional photographers residing in Bangladesh. Since all the architects are more or less photographers, we gladly promote this competition among ArchSociety members. The submission is online via email, there is no registration fees. The deadline of submission is midnight Thursday 6 May 2010. A panel of professional photographers will judge the winning photos. In each category there will be one Professional and one Amateur prize winner. Participants are to send their entries along with the filled up registration form to info.bangladesh©iucn.org within the deadline. Images must be less than 5MB in size and with at least 200DpI resolution and may be either B/W or color. For more details visit: Competition Site.